UPDATE: Springfield police say Shelby Smith was found at approximately 12:30 a.m. Tuesday. He is safe and unharmed. Springfield Police have issued an endangered person advisory for a man who went missing shortly before 6 Monday evening. Police say Shelby Smith, who is 32 is 6’2″, 235 pounds with brown hair and blue eyes. 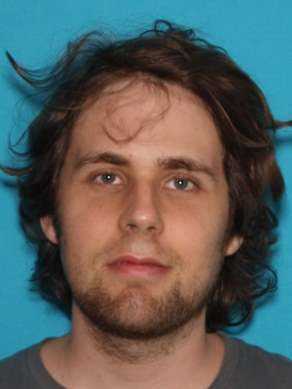 Investigators say Smith has autism depression and Asperger’s syndrome as well as suicidal tendencies. He walked away from a medical facility and should be considered endangered. If you have information that can help, please call 417 864 1810. The Springfield Police Department has issued an Endangered Person Advisory for a missing person incident that occurred at 720 North Elder Ave Springfield, MO at 5:40 PM on 12/17/2018. Shelby S. Smith, is a white, male, age 32, hgt 6’2″, 235 lbs, brown hair, blue eyes, fair complexion, with long, scraggly hair and a chin strap beard, wearing gray hooded sweatshirt, unknown color long sleeve flannel shirt, jeans and boots. Smith has autism, depression and Asperger’s syndrome as well as suicidal tendencies. Smith walked away from a medical facility and should be considered endangered.